Hi. I am holiday and took my PowerCore+ 20100 USB-C with me to charge my sons tablets and stuff. Now it was time to charge to unit itself but all it does is flicker 5 leds. Tried 2 different chargers and even connected it to the MacBook to charge it but issue remains. Please help and save my from whining kids. Not certain if much can be done while your still on holiday if the unit has developed a fault. You mentioned you've tried two different chargers, does this include different cables? You could try a reset of the PowerCore by looping the cable from the output port to the charging port. This is essence reset's the unit. Then try charging as normal for 6hrs minimum. Yep. 2 chargers and 2 different cables. Also tried to use my MacBook as a charger but the leds keep flashing. I will give the shortcutting a try when I am back in my room. Did the unit get warm/hot (from sitting in the sun, for example)? 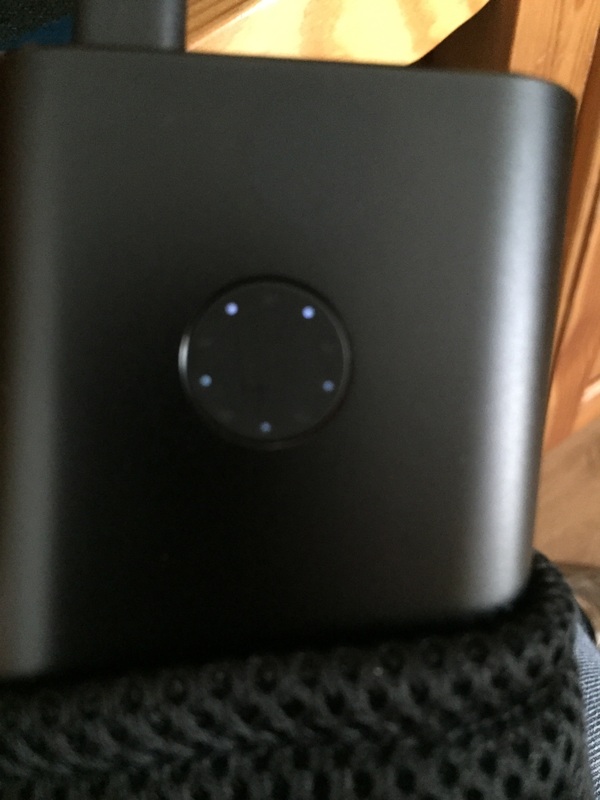 I've found that if the power bank is above it's recommended operating temperature, it will flash to indicate there is a problem. Letting it cool down should reset it. Others have helped you with sage advice. When I am traveling and reliant on technology I carry a spare everything. Hope for the best, plan for the worst. I like Anker's reliability and their good warranty but anything can fail either inside the product or I break it. For this reason if I'm away and reliant on tech I'd rather carry say two Powercore 10000 than one Powercore 20000. In my personal situation I find I do not need as much as 20000mAh, more usually about 10000mAh so I might be with say a Powercore II 6700 + the Powercore+ Mini. Good luck. But needing luck less often is luckier. Sorry that the PowerCore + 20100 USB-C does not recharge well. Could you please confirm whether the wall chargers you tried are powerful enough to offer 5V/2A output? If so, the Anker battery indeed has a problem. Please contact Anker customer service at "support@anker.com" to let us know your order number and the description of the problem, we would arrange a replacement for you as soon as the item is covered by the warranty. Apologize and hope to hear from you soon. I am back in Belgium and will return the product where I bought. They can figure it out for me.